Today, I'm bringing you my favorite Saturday lunch-- BBQ Cauliflower Wings. Before I was a vegetarian, regular chicken wings always left me feeling heavy and bogged down. But now that I have this recipe, I can still enjoy "wings" but it leaves me feeling lighter and healthier! I usually only like to share quick and easy recipes but I have to be honest-- this recipe is easy, but it's not quick. And it's definitely NOT an easy clean-up. But if you use my favorite kitchen clean-up tool-- Scotch-Brite® Scrubbing Dish Cloths-- clean up will be a breeze. I've been using these Scotch-Brite® Scrubbing Dish Cloths for about a year now and they're my favorite! Scotch-Brite® Scrubbing Dish Cloths uses scrubbing dots technology to really allow you to scrub away tough messes, without scratching your pans. They come in such cute colors and I love that they are reusable! I found them in the cleaning aisle at Target! 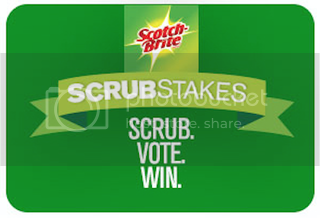 I love all Scotch-Brite products. Are you Team Sponge or Team Dish Cloth? Enter the sweepstakes by voting for your favorite for a chance to win $20,000 towards a kitchen makeover! Wash the cauliflower and cut into bite-sized pieces. Mix all of the ingredients except the cauliflower and BBQ cause together. You may need more or less liquid than this recipe calls for, depending on your flour. You want the batter to run but also stick to the cauliflower. So if your batter is clumpy, add more water. WRONG-- You do NOT want your batter to look like this! RIGHT! Your batter should be more runny! Place a silicone baking mat on your tray. DO NOT SKIP THIS STEP. If you do not have a silicone baking mat, you can use parchment paper-- NOT aluminium foil, wax paper or anything else. It HAS to be a silicone baking mat or parchment paper. Trust me. I strongly prefer a silicone baking mat because they are reusable and a great kitchen investment! One by one, dip your cauliflower wings into the batter, tapping the excess batter off on the sides of the bowl. Place the cauliflower onto the silicone baking mat. Place in the oven and bake for 13 minutes. Flip and bake for another 13 minutes. The time may be different based on your oven, so keep an eye out! Remove from the oven. Place in a bowl and toss with BBQ sauce. Place back on baking mat. Cook for 13 minutes. Flip. Cook for another 13 minutes. Remove from oven. Brush with more BBQ sauce before serving! Now when you're finished, your baking mat is probably going to look scary. I am being 100% honest when I tell you that Scotch-Brite® Scrubbing Dish Cloths are the best way to clean your mat! 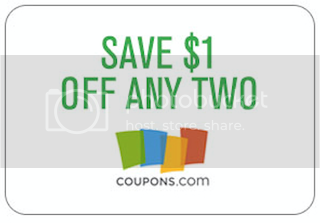 Be sure to check out more recipes and DIYs HERE. 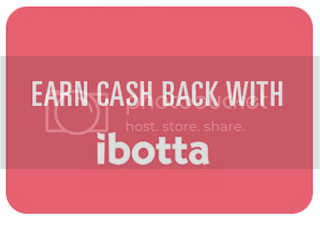 Make sure you grab a coupon for Scotch-Brite sponges and dish cloths from coupons.com and Ibotta! What's your favorite guilty-pleasure recipe?